Real Madrid’s Portuguese superstar, Cristiano Ronaldo will be heading for the exit doors this summer as the Los Blancos are targeting the duo of Neymar and Kylian Mbappe as the possible replacement, suggest reports coming out of Spanish capital. According to UK Sun, citing sources at AS, the Galaticos are preparing stunning offers for the Paris Saint-Germain duo, with the Ligue 1 champions’ likely to be axed over a possible violation of Financial Fair Play rule. 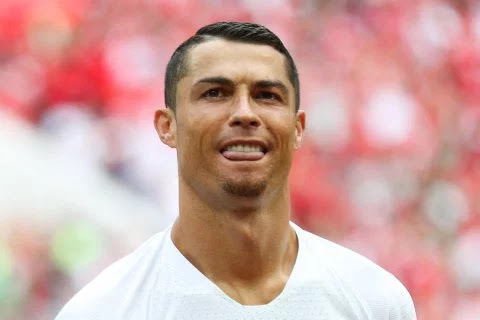 The 33-year-old Portugal star has enjoyed a fruitful nine seasons at the Los Blancos winning the UEFA Champions League four times as well as other numerous individual awards. Sadly, after eggheads of Santiago Bernabeu outfit rejected another salary hike up, Ronaldo is set to seek fresh challenges elsewhere. Already, the Portuguese is being linked with a return to Manchester this summer, but the deal might not see the light of the day despite his star status. Currently, Serie A champions are reportedly leading the race of potential suitors as they are eager to keep hold of their seven Italian topflight silverware as well as battle for the UEFA Champions League silverware. The report further added that Real Madrid will rake in about £88 million from Ronaldo’s sale which will be used to bring in Neymar and Mbappe as ‘new Galaticos’ after the mundial. On the other hand, PSG's issues with FFP are well documented and it is not clear if they will be allowed to complete Mbappe’s £162m transfer from Monaco or be forced to buy the France star as well as resell the World Cup star immediately. As report further noted that signing the 26-year-old Neymar, has become a priority for Real president, Florentino Perez who sees the Brazilian star on the same page with the likes of Luis Figo, Zinedine Zidane or Brazilian Ronaldo. During last year’s Ballon d'Or awards, Ronaldo was left unhappy with the way Perez was "flirting" with the PSG star. However, for Neymar to seal the switch to the Los Blancos, Real Madrid will cough out a staggering sum of £310m. Meanwhile, Press previously reported that Juventus are lining up a sensational swoop for Cristiano Ronaldo. The Italian news media outlet claim the Real Madrid superstar is looking for a new challenge after nine years with Los Blancos and winning every trophy on offer. The 33-year-old has reportedly turned down a new deal at the Spanish capital with his whopping £886m buyout clause lowered to £106m.